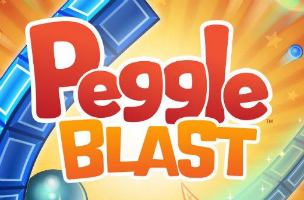 Earlier this year, Electronic Arts and PopCap announced the development of Peggle Blast, a free-to-play installment in the popular franchise, which challenges players to shoot balls at pegs to remove them from the screen. The company has now announced an official release date for the title, as Peggle Blast will hit iOS and Android devices on December 2. We had a chance to chat with Robert Einspruch, senior producer of Peggle Blast, about the game’s development, and the new features users can expect when they try the game next month. Inside Mobile Apps: Who are the new Peggle Masters, and what sorts of special powers or perks will they offer to players? Robert Einspruch: We’ll be adding new content for Peggle Blast on a regular basis, but the game launches with six Masters, including two fan favorites, Bjorn and Jimmy. Pearl the Octopus extends her tentacles on the side of the frame to catch and shoot the ball from a different vantage point. Batrina (a bat, of course!) uses her Sonic Shriek to shatter any pegs in her path. Shelldon the Snail releases slime that slowly rolls down the pegs and drips peg-melting slime on the board. IMA: From the game’s early screenshots, it appears we’ll have access to power-ups, like trajectory lines, while playing. What other sorts of powers will players have access to? RE: In addition to all the Master’s Powers mentioned above, you will have access to some explosive new boosts. These include the awesome Ring of Fire, which surrounds your shot with flames, extending the ball’s range, giving you immunity to fire pits, and burning anything in its path. The Super Guide sets players up for those tricky ricochets and long shots. The Egg Net rescues falling Phoenix eggs and helps you get past egg levels. You can also get Extra Green Pegs, which give you the opportunity to unlock the Master’s Power one more time, and Extra Balls which give you an additional three balls to help complete the level. And finally, Time Bomb Extenders reset the time bomb obstacle and give you five extra shots. IMA: How will players be able to spend money in Peggle Blast? Are there plans for the game to be ad-supported? RE: Players can purchase boosts to help them move through levels faster. The game is free-to-play and will also feature ads at launch. Players will be able to earn extra boosts, turns, and lives by watching video ads. Watching the ads and claiming the rewards will be integrated in a way that is as seamless as making a purchase from the App Store or Google Play Store. IMA: Will there be a lives system in Peggle Blast, which limits the amount of gameplay users can experience in a single session? RE: Players will start off with five lives which regenerate over time. If they sign into Facebook, they’ll have a bonus life. They can also purchase the Master Heart, which gives them unlimited lives throughout a Master’s World. While the main line of progression does require a player to have at least one life, s/he can replay any level on the map for free. So players that are out of lives can replay levels to earn all three stars [or] earn high scores (this will be big when leaderboards are released).